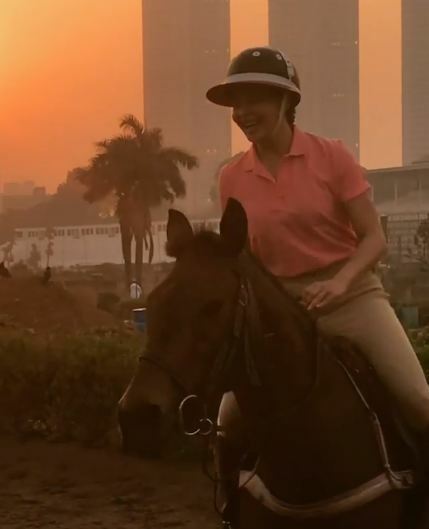 After Pole dancing and sketching Jacqueline Fernandez is Horse riding! Jacqueline Fernandez is someone who loves learning new things and this time the actress has taken up Horse riding. One after the other, the gorgeous lady has been mesmerizing her fans with new interests which make one wonder as to is there something that the lady can’t do? From mastering the art of Pole dancing to painting to Playing the piano now the actress had taken on Horse riding. 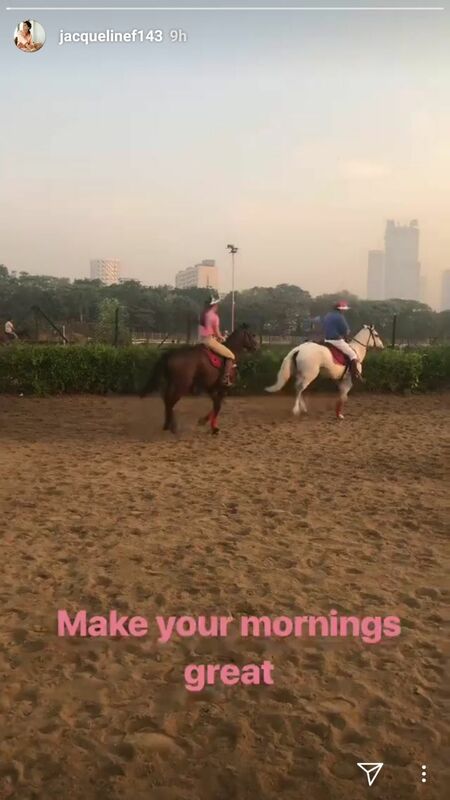 After impressing everyone with her fabulous pole-dancing skills, sketching and piano skills, the actress has been indulging in horse-riding early in the morning for her dose of Vitamin D.
Looking at her playing piano, Pole dancing, and Sketching it is sure that the actress is art lover and loves to intake as much as possible from the art forms. Jacqueline has recently wrapped the shooting of her next Race 3 along with superstar Salman Khan which is slated to release on EID 2018.